I had an incredible week in Raro this week. The Cook Islands Ministry of Education invited me to come and share in their literacy week celebrations. I visited lots of schools on Raro, talking to young people, and being inspired by them. This photo comes form a writing workshop I did with children at Nukutere College. I can feel the enthusiasm in that photo. Well done Cook Islands MOI for the inspired idea. I would love to have been a participant. What a fantastic opportunity for both you and the students! Well deserved! I will be in touch to try to arrange some workshops at Gisborne Boys’ High School in 2019. 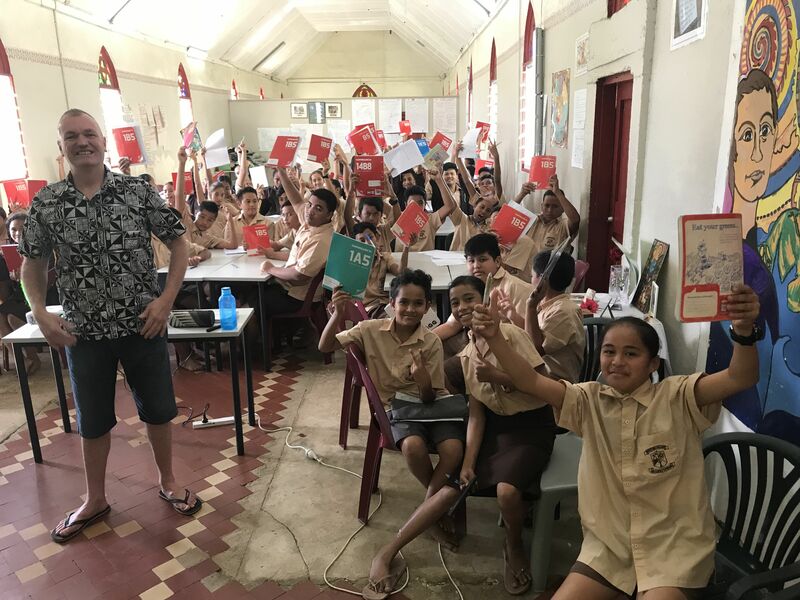 Kia orana, David – great photo of enthusiastic kids!